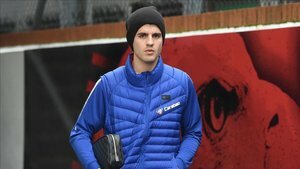 What do Barça want Morata for? Move forward with a move for Alvaro Morata, who is a great forward, but he's not Luis Suarez, nor is he one of the top four or five strikers that we all have in our heads. Morata is a good forward for a team like Atletico but not, as he has demonstrated, for a team like Real Madrid or Chelsea. Still, the question is for what do Barça need Morata. As their fourth forward? Or lower, keeping in mind Coutinho/Dembele and Malcom, but, OK, as a fourth forward, as a backup, a pure No.9, he's perfect. The problem is will Morata accept being a substitute? I feel like the answe will be no. At least, that is what history indicates. The reason he left Madrid was because he wanted to play and it's the same now at Chelsea. And if with those teams he has felt uncomfortable because he's not played, at Barça, with Messi and Suarez ahead of him, his situation is not going to change. Let's look at the terms of the deal. It's been leaked that Sevilla dropped out because the cost was high. You want him on loan until the end of the season? Prepare between 12 and 15 million euros. You want to buy or an option to buy? 50 million euros. Again, the question: for what do Barça want him? For the next five months or with an eye on the future? If it is the former, it seems expensive. If it's to have him for three, four years as a rotation option, it seems like a great option to me. Morata will score goals and will be a good backup. The only worry is that we have to trust that he will accept a role that he has not accepted at Madrid or Chelsea. No one will guarantee him the minutes he wants, especially not in the biggest games of the season.